IT or Z79-IT indicates that the tube has been implant tested in rabbit muscle for tissue compatibility. This is in accordance with the American National Standards Committee. Distance from the tip of the tube is marked along its length. Radio-opaque line (for X-ray detection). 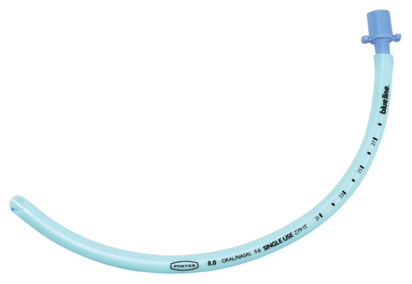 Murphy eye, allows ventilation in the event of obstruction of the end of the tube. Cuff with a pilot balloon. This cuff seals the trachea to avoid gas leaks or contamination. Prolonged pressure from the cuff may cause mucosal ischaemia. 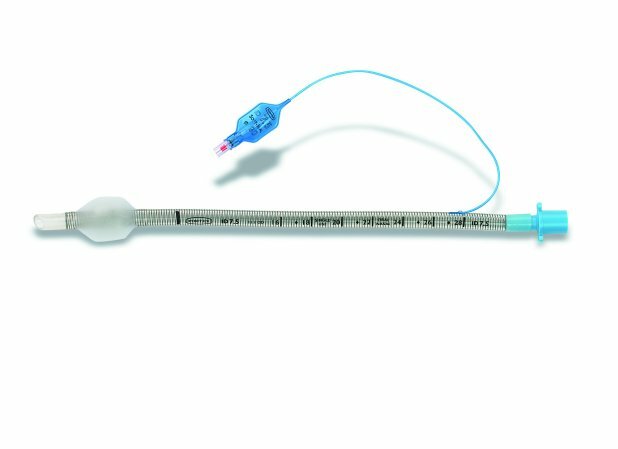 Uncuffed tubes should be used in Paediatric anaesthesia. 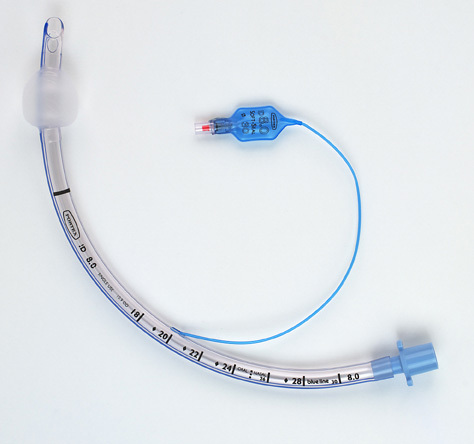 These resemble standard endotracheal tubes, but also contain a spiral of metal or nylon in the tube wall. This is particularly useful where kinking of the tube may occur, e.g. during neurosurgery, maxillo-facial surgery and in patients in the prone position. They cannot be cut to size, hence one should be meticulous about the final position of the tube.